书籍简介: “Think for a moment of the best conversations you’ve had with friends and colleagues. You were honest with one another―not shy about speaking up but relaxed, even if the topic being discussed was serious in nature. 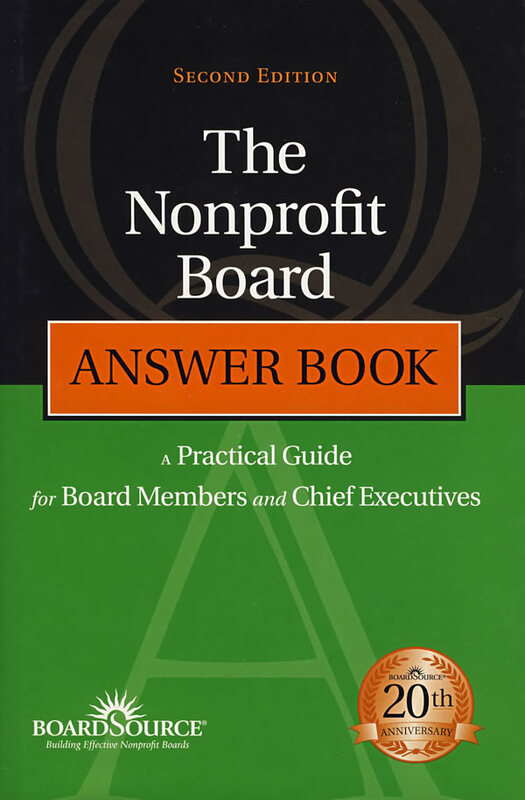 That’s the type of conversation The Nonprofit Board Answer Book aims to have with you in the pages that follow. It follows a question-and-answer format, enabling you to quickly find an answer to a burning question you have right now. At the same time, it’s easy to pick up and read straight through, either cover to cover or one section at a time. At the end of each question-and-answer pairing you’ll find suggested action steps. These offer ways to put the information to a practical use on your own board and within your own nonprofit organization. Implementing some of these steps may lead to more questions as you become even more committed to fulfilling your responsibilities as a board member.